Washed cotton 2 piece sofa slipcover, separate cushion cover help the cover to stay in place, ruffled skirt. fits sofas from 84" to 96" wide, machine washable. Color: Navy. Colors Available: Black, Brown, Burgundy, Charcoal, Gray, Navy, Purple, Sage, Sand, Taupe. Fits Most Standard Sofa/Couch with Elastic Band Under Seat Cushion. We know what people look for in an airbed, things like comfort, durability, and easy storage. We also know what people don't want, things like leaky valves, lumpy surfaces, and stretchy vinyl. 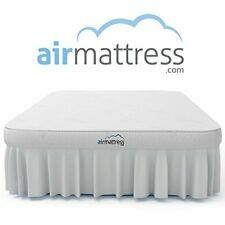 We've worked out these bugs and created what we feel is the best airbed on the market, all while keeping the price low for you. Ikea Norsborg 3 Seat Sofa. This cover is made by Ikea to fit only the Norsborg 3 Seat Sofa. Cover in the Edum Light Blue Color. The IKEA number is 303.040.95. 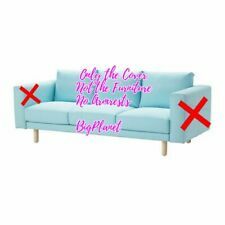 SLIPCOVER and NOT the FURNITURE. This is the complete slipcover without the armrests. The Indian Pouf Ottoman Cover pouffe pouffes Foot Stool Moroccan Ottomans Art from Rajasthan India. Zip Closure At The Bottom Of The Pouf. Filler: Can be filled with cotton, fiber or even with beans used in bean bags. The Intex Twin Pillow Rest Classic Airbed Kit is the perfect choice for the rugged outdoors. The flocked top gives a more luxurious sleep surface, cleans easily and is waterproof. Includes battery operated pump. Fits the IKEA Kivik Ottoman. This is for the COVER ONLY. Finish: Brushed Brass. Skin Care, Bath & Body (73). So why buy from us?. And our friendly and knowledgeable phone staff is available 24-7! Are you a designer or builder with a large project?. Want to buy for less?. Dakota/Blue Real 7 oz Denim. This KD OEM power recliner or lift chair headrest linear actuator motor will adjust the headrest of a compatible chair when connected to a compatible junction box. Uses a 2 pin type plug and has a standard 5 pin handset connector. Color: Nordvalla Blue. Ikea EKTORP 2 2 (4-Seat) Sofa Removable COVER ONLY (NOT Actual Sofa). Communication is very important, and I always try to respond ASAP. Machine wash, max 40°C, normal process. Finish: ANTIQUE BRASS. Skin Care, Bath & Body (73). So why buy from us?. And our friendly and knowledgeable phone staff is available 24-7! Are you a designer or builder with a large project?. Want to buy for less?. Airbed, Queen Classic Downy 600-pound weight capacity. Intex Classic Downy Airbed. Crafted with durable heavy gauge vinyl, the cozy flocked top cleans easily and is waterproofed for camping use. The quality-tested bed is constructed with a 20.8-gauge waterproof flocked top, along with 14-gauge vinyl beams, and 15-gauge sides and bottom. Skin Care, Bath & Body (73). Finish: Bronze and Blue. So why buy from us?. And our friendly and knowledgeable phone staff is available 24-7! Are you a designer or builder with a large project?. Want to buy for less?. SkyBaby Travel Mattress For Flying with a Baby. 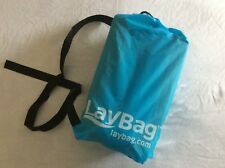 bag for easy traveling. Blue in color. what we say we will. Camping Classic Downy Mattress Air Inflatable Airbed Intex Twin Quickbed. The cozy flocked surface improves comfort and prevents sheets from slipping. The extra wide openings on the 2-in1-valve make inflating ad deflating quick and convenient. STRETCH SENSATIONS SLIPCOVER FURNITURE PROTECTOR OGEE RECLINER NAVY NEW! OGEE RECLINER SLIP COVER FURNITURE PROTECTOR. Stretch 4 piece slipcover. Fits most recliners up to 82" around back of chair. This stretch slipcover stays neat and fit. Not made for furniture with wood arms, or open arms. Built in foot pump. Most things can be taken care of with communication! The tower is made of resilient MDF material. DVD case slots with tilt-up angle allow DVD title easy to read and prevent DVD from falling out. ( we had many lost parcels ). Texsport Deluxe Air Bed Queen Size. Long lasting extra heavy P.V.C. Soft velour top surface, comfortable coil beam construction, patent pending easy flow valve system. Finish: Textured Bronze. Skin Care, Bath & Body (73). So why buy from us?. And our friendly and knowledgeable phone staff is available 24-7! Are you a designer or builder with a large project?. Want to buy for less?. DALLAS COWBOYS FURNITURE PROTECTOR COVER RECLINER REVERSIBLE FREE SHIPPING!! • Fits most furniture, Recliner up to 34" Long from arm to arm. • Machine wash. • Protects furniture from soil, stains and spills. THIS RECLINER/CHAIR HEADREST COVER is 100% Polyester In/Outdoor Canvas material. It is a popular fabric because of its easy care, the bright Sky Blue on White colors bring outdoor colors into our living area. This product is a cover kit for Footstool / Ottoman Slipcover COVER, not actual furniture. Do not tumble dry. Machine wash warm, normal cycle. The cover is easy to keep clean as it is removable and can be machine washed.